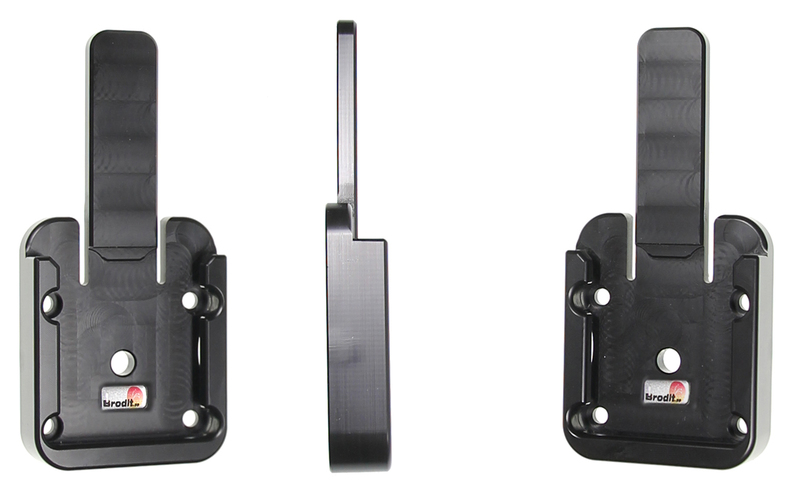 The MoveClip attaches to a Brodit ProClip for when you want to easily switch between different Brodit device holders. 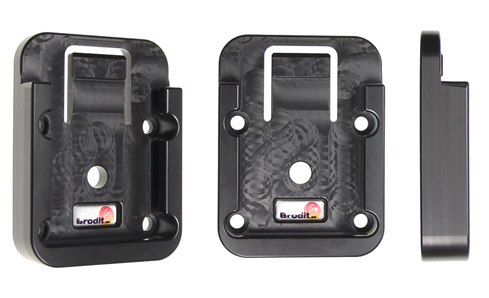 With Brodit's Multi MoveClip, Brodit Item 215503, the square plate on the back of a Brodit holder can be inserted and removed from with ease. It is the perfect mounting accessory for when you are looking to regularly switch Brodit device holders on the same ProClip, move a device holder between two different vehicles, or if you simply want to temporarily remove a holder from a vehicle. 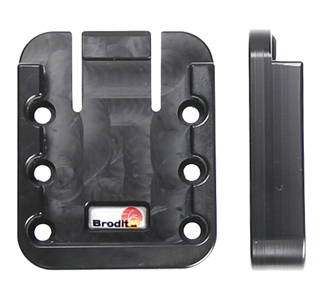 They are becoming increasingly popular with a Brodit Headrest mount to remove the holder when it is not in use. MoveClip Mini. 2 female + 1 male. 50 x 35 x 4 mm. MoveClip for Tilt swivel, with predrilled holes. 1 female + 1 male + 2 screws. 50 x 42 x 5 mm. MultiMoveClip: Complete set. 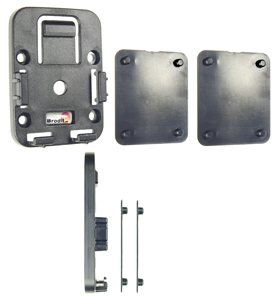 Contains 1 MultiMoveClip, 2 adapter plates, 4 screws. With release button. MultiMoveClip, 4 screws. High strength. With release button.